The model-turned-celebrity chef recently introduced the world to her second child Miles. 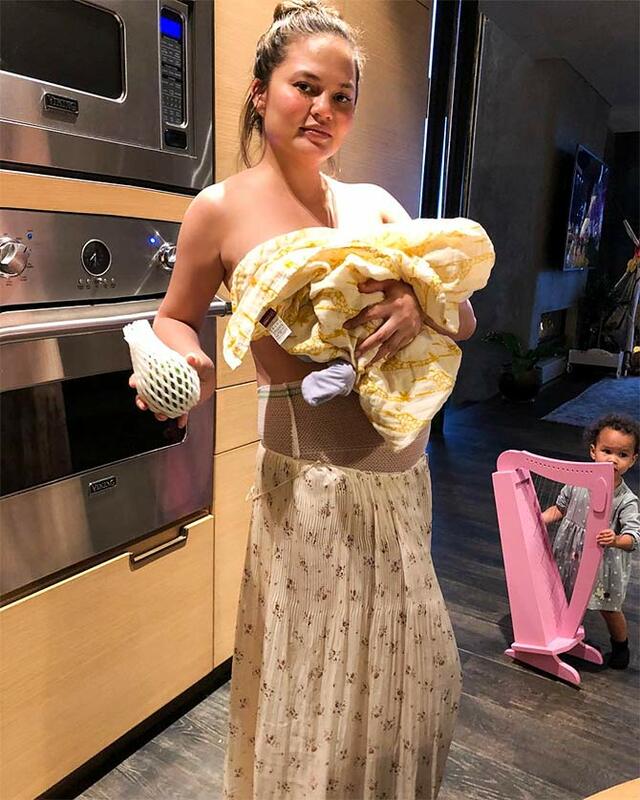 Chrissy Teigen and John Legend became proud parents for the second time on May 17, 2018. 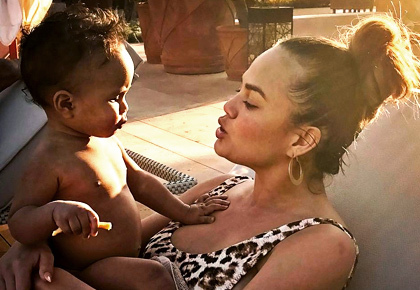 The model shared a candid photo of her son Miles on Instagram to show fans and followers on the social-media photo-sharing app the real side of mothehood. However, this is not the first time that Chrissy has been honest about motherhood. Chrissy has not hesitated to share pics of her ugly stretch marks and adult diapers. Presenting the six times she gave us serious #motherhood goals on Instagram. Motherhood also means taking a splash with toons. She gladly posed in her post-pregnancy underwear. 'Motherhood has so many emotions. My heart is now outside of my body, walking around in a little llama diaper, growing so fast'.